Where should you start with reading? Here’s our top tip: start with the classics. 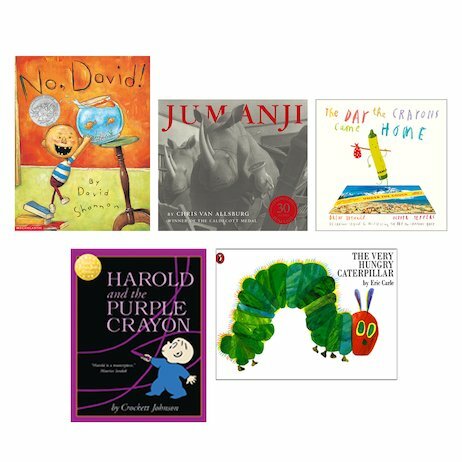 Books so timeless and joyful they’ll get you hooked on stories from the very start. Bursting with humour, colour and wonderful characters, these glorious favourites will make you fall headlong in love with books. (Just like every little person should.) Books are fun. Books are surprising. Books help you discover your world. Books are your friends in tough times. And with stories like these to make you smile and open up your imagination, you’ll find out RIGHT NOW how special books are. Make the most of your precious reading time!